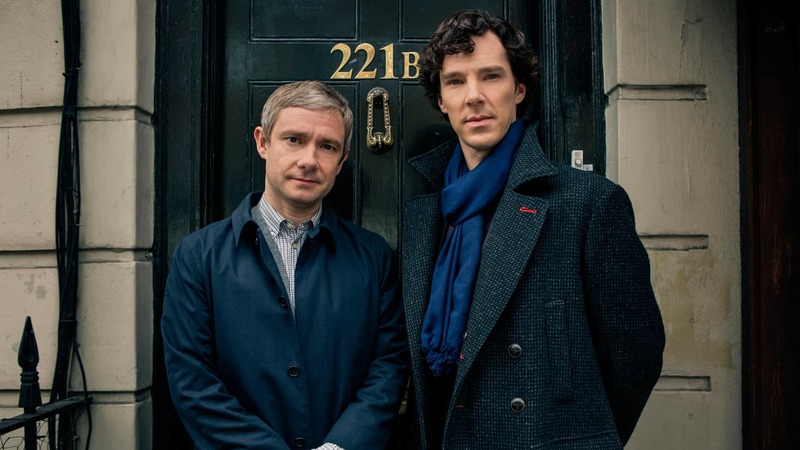 Sherlock Series 4 Premiere Date Announced | Nerd Much? The premiere date for the first episode of Sherlock series 4, titled The Six Thatchers, has been announced via the show’s social media accounts. It doesn’t exactly come as a surprise since the last two seasons (as well as the Victorian special) have all aired on the 1st of January in the UK, but the official confirmation is exciting nonetheless. Also exciting is the fact that the showrunners are finally taking their US fans into consideration and airing the episode across the pond on the same date (there was a delay of a few weeks with the Series 3 episodes). As previously stated, the first episode is titled The Six Thatchers, which we already knew thanks to a tweet from BBC One last month. We know from the same tweet that the second episode is titled The Lying Detective. The third episode’s title, however, remains a mystery. As the episode titles usually relate in some way to Conan Doyle’s original stories and often provide a clue as to what the episode is about, it’s possible they’ve omitted the third to avoid spoiling it. Our guess is that it concerns the fate of one Mary Watson, but we’ll say no more for the time being. You can watch the trailer for Sherlock series 4 here, and check back for our thoughts following the premiere, which airs on January 1, 2017.